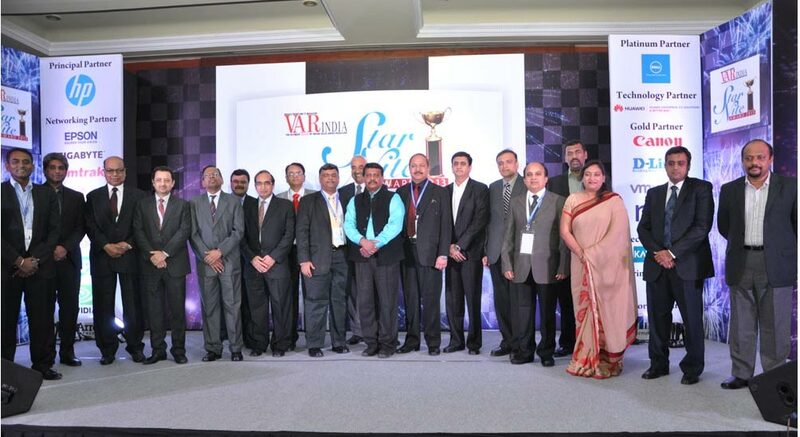 VARINDIA organized the 12th annual event "VARINDIA Star Nite Awards - 2013" in the Capital recently. This award fiesta is the event in India that is considered to be the litmus test for IT corporates for their marketing policies, strategies and initiatives that involve vendors, distributors and resellers. 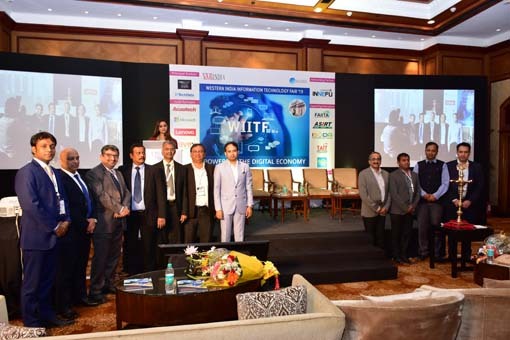 Eminent personalities and top performers of the IT industry in various categories bore witness to this gala affair where IT companies did technology showcasing of their products. 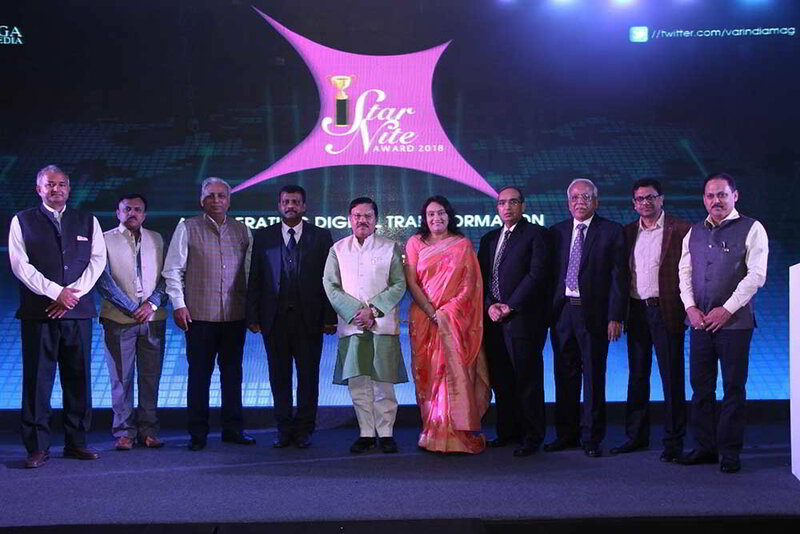 VARINDIA Star Nite Awards -2013, which also played host to the felicitation ceremony of the top performers of the Indian IT industry for the current year, commenced with the lighting of the ceremonial lamp by the guests of honour and other high-profile dignitaries. The guests included Sarvashri N. Ravi Shanker, IAS, Additional Secretary, C-DOT & Administrator, USOF, GoI; Sivakumar N., Vice-President – PC Business, Toshiba India; Jagannath Pattnaik, Director – Sales, Kaspersky Lab; Ajay Kaul, Director & General Manager, Global Commercial Channel, Dell India; Asoke K. Laha , Managing Director & CEO, Interra IT; Kshitij M. Kotak, President, ASIRT; Laxmi Narayan Rao, CTO – Technology Services, HP India; Suresh Reddy, Vice-President – Enterprise, Huawei Telecommunications; Nalin R. Patel, President, AIT, Bengaluru; Manoj Chugh, Global Head, Business Development (Enterprise Division), Tech Mahindra; K. V. Jagannath, Managing Director, Choice Solutions; Deepak Kumar Sahu, Publisher, VARINDIA; and Ms S. Mohini Ratna, Editor, VARINDIA. Dr Ajay Sharma, Joint Secretary – IT, Department of IT, MC&IT, GoI, addressed the audience on various opportunities, in how the country is marching ahead towards becoming a manufacturing hub and an opportunity unveiling for global companies to look into the business opportunity in the Indian ICT industry. Envisaging the big role they are going to play in shaping the future of the country, the Awards also saw a few notable Technology Evangelists and Marketing & Business wizards in the country getting recognized. Afterwards, the veterans were called upon the stage and felicitated with a token of appreciation. The Panel discussion for the evening was themed around “Best Practices for Organizations to look into Social Intelligence” and was moderated by the industry veteran, Laxmi Narayan Rao, CTO – Technology Services, Hewlett-Packard. The discussion emphasized on the broader role that the social media will play in influencing the competitive strategy and channelling this information to people within the organization which needs it at an optimal point in time. The panellists who participated in the discussion were Dr Govind, CEO, NIXI, GoI; Sarvashri Vipin Tyagi, Director, C-DOT, GoI; Jagannath Pattnaik, Director – Sales, Kaspersky Lab; Subrotah Biswas, Director – India & SW Asia, Logitech India; Ajay Kaul, Director & General Manager, Global Commercial Channel, Dell India; Nalin R. Patel, President, AIT, Bengaluru; Kshitij M. Kotak, President – ASIRT; Sivakumar N., Vice-President – PC Business, Toshiba India; Himanshu Chawla, Director – Channel Sales, Microsoft India; Aneesh Dhawan, Regional Sales Head, VMware India; and Gurpreet Malik, Country Retail Head, PPS, HP India. The Vendors Awards that followed thereafter were the most-awaited moment of the evening. This year, a total of 65 categories have been announced and close-to 50 vendors were awarded for their remarkable contribution in their respective field and taking the IT industry to excellent heights. 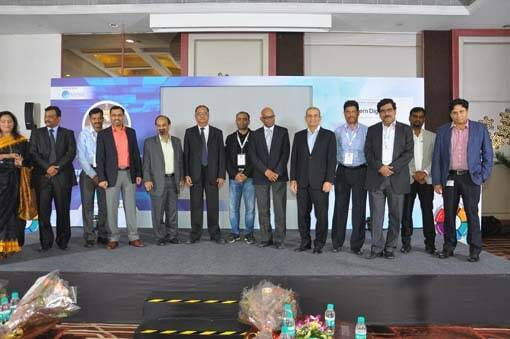 The Tech Session that took place before the start of the event had the presence of 70 SIs and leading Channel partners representing 22 associations. Besides being a platform to discuss some of the Channel issues, it had presentations from Huawei Telecommunications and Sparsh on the company overview and the opportunities. There was also a Lucky Draw contest organized by four companies - Epson, Canon, Amtrak and BenQ amidst the event where lucky winners walked away winning 2 Amtrak tablets, a printer from Epson while 2 printers from Canon and 1 digital camera from BenQ. It was a momentous day for all the winners of the VARINDIA Star Nite Awards who were filled with a sense of joy and pride, while others looked forward to the next VARINDIA Star Nite Awards 2014. The awards ceremony was followed by networking and dinner. J’ai contacter Highco et il dise que j’ai Ã©tÃ© remboursÃ© en point alors que ce n’est pas le cas comme je n’ai pas prÃ©senter de carte pour achetÃ© le deuxiÃ¨me produit mais elle ne veut absolument pas me remboursÃ© que je n’ai quaqrsp;&b&nuo;a voir avec carrefour et carrefour me dire de voir avec eux !! !